Mortician’s smock still dripping with blood, King in his introduction delivered an autopsy on the American short story from the privileged perspective of someone who has just read hundreds of them while hunting down the best. Turns out: the news is not good. My palms got clammy as if Mr. King, a scary-looking guy, was scratching at my window screen. I read a lot of literary journals, partly to get a sense of what to send them. The crux of his overall argument is this: audiences are shrinking; literary journals are poised at the brink of irrelevance because they’ve grown too expensive and too poorly distributed to appeal to anyone but writers; the stories themselves are “airless,” “show-offy,” “self-referring,” “self-important,” and “self-conscious.” Although there’s evidence to support all these claims, King tries to tie them all together to prop up his thesis that the short story is “ailing,” which feels like a stretch. What’s definitely true is this: the traditional infrastructure that has linked short stories and audiences is undergoing a massive transformation. But death throes sounds melodramatic, and a little gleeful. Maribeth Batcha is the publisher of One Story, a radical revision of the whole idea of what a literary journal can be. In the space of six years, it’s become one of the most formidable markets for any writer peddling stories. As the title indicates, they publish one story at a time, every three weeks, in a cute-but-inexpensive format that begs to be passed on to friends. 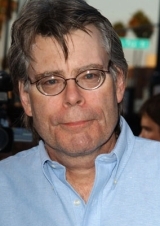 “I think King had some good points about the changes in distribution channels,” Batcha said, “and how young writers sometimes feel like they’re only talking to other writers and to editors—but I think one of the things we’re really excited about at One Story is that we feel like we’re really talking to readers and building a community of readers. It could be a fifties sci-fi film: The Incredible Shrinking Audience. And like the stories of extraterrestrial abductions, it could be true, and lots of people passionately believe that it’s true, but there’s no way of knowing for sure, and the conversation remains rhetorical. If, as King points out, literary journals have become too expensive and inaccessible to the vast majority of people, does it logically follow that no one cares about the short stories inside them? If really good scotch costs too much money, or isn’t sold anywhere in your Wal-Mart town, does that mean you prefer the cheap stuff? Running contrary to the literary journal model are exciting developments that are freeing the short story from its cumbersome traditional vehicles: literary journals no one has time to hunt for or money to buy; short story collections that publishers won’t take chances on; independent bookstores dying off faster than polar bears. We can lament print journals’ decline, or we can focus on the fact that brilliant short stories will continue to be written. Bad stories have always been a lot easier to come by. “Writers continue to write because we have to,” says Sean Meriweather, editor of the queer online literary journal Velvet Mafia. “While print media may be struggling to stay alive, and small and mid-list publishers are disappearing as costs become unmanageable, many writers have found an alternative. Print might be more prestigious, but online literary outlets, where fiction is free and fearless, are building immense audiences. Bear in mind that The Paris Review’s print run was 13,000 per issue in 2006. A lot of the gloomy publishing prognostications come out of the generation gap. Studies point to declines in leisure reading among people under 40, but I think the younger generation isn’t reading less; it’s reading differently. Thanks to computers, young people now spend a staggering amount of time reading. It might not be Ulysses, but even things like pop culture fan fiction and celebrity gossip speculation build critical thinking skills. When I published a creative nonfiction piece about my love-hate relationship with the teeny-bopper band Fall Out Boy, I posted the article on the message board of the band’s website. Within a day, 500 people had read it—almost all of them, to judge by the site’s user demographics, adolescents. Some of them sent me hate mail, much of which, while immature, was incredibly well-argued. The readers are out there. They might not be in the places where we’re accustomed to looking (bookstores, libraries, curled up with the fiction issue of The Atlantic Monthly), but there are a lot of them, and they’re hungry for writing that’s relevant to their passions. Writers need to be read. If we insist on blitzing The Fancypants Review with our work, it’s because we know that its editors and readers truly care about short stories. And as these older models evolve, writers can only embrace a world where their work can be shared with infinite ease. In that respect, the Internet represents an exciting new set of structures for the distribution of great short fiction, and the creation of new communities for sharing it. Though writers may not be paid when their stories are shared digitally, as Cory Doctorow and others have pointed out, to any real artist “obscurity is a far bigger threat than piracy.” How far are we from the day when we’ll be able to beam our favorite stories, in the form of podcasts and PDFs, to phones and handheld devices, and email them to friends and loved ones with the same enthusiasm now reserved for YouTube videos? Many authors are skittish about the Internet, and few conventional literary publishers have embraced its rich possibilities. Alexander Chee is an edgy writer, but he’s no outsider. He’s represented by one of the biggest literary agencies, he’s won awards and fellowships, he’s published a novel at one of the biggest houses (and has another on the way, from an even bigger house)—and yet he’s published stories and articles all over the Internet. He even has a blog. The past ten years have seen a staggering shift in the way music happens. For decades, the paradigm was: concerts promote records; record sales make the money. Now, in a world where any album can be downloaded for free, records serve as a promotional tool for the concerts, which is where all the money is made. How will this drift change the face of fiction? Many, including me, see a lot of positives in the digitization of art, don’t have a lot of sympathy for the RIAA when it complains about its dwindling bottom line—and laugh out loud at folks like Richard Parsons, CEO of Time Warner, who presumably had a straight face when he said “If we fail to protect and preserve our intellectual property system, the culture will atrophy. And the corporations won’t be the only ones hurt. Artists will have no incentive to create.” As if money was the reason artists create. But many writers, including Alexander Chee, see the digital paradigm shift as directly linked to other, direr developments. “In the last 20 years, we’ve seen the rise of Limewire, the Napster thing, that ‘code revolution’ for DVDs that unlocked their content. But did anyone bother to mention how in the same time period, the richest 5% of the country became much richer than the rest of the country? Millionaires in America now still have to have dayjobs. Vietnam doesn’t even want US treasury bonds. We’re not a good investment for Vietnam. We need to wake up. Paying your writers is getting pretty rare across the board, in print as well as digital fiction publishing. Last week, when a short story of mine was accepted into an anthology, the editor apologized for only being able to pay me $25. I told him not to worry—it’s $25 more than I got for my last three published stories. But clearly, I, and a lot of other writers, would rather be read than paid. Are short stories ailing—dying—dead? I’ll need to see some figures. Until someone brings me a graph with exactly how many short stories were published in 1927, and 1967, and 2007, and what percentage of those stories were truly amazing, and whether that percentage is shrinking, I’m not buying any claims that the short story itself is sick. Everything that surrounds literature is changing so fast it’s easy to project that progression onto the fiction itself, but as any student of Soviet culture can tell you, a work of art is a lot harder to kill than a person—or even an industry. For writers and editors, it’s only getting harder to make a living out of literature . . . but history has hundreds of examples of perfect short stories produced in poverty. Writers, like everyone else, will continue to need day jobs or sugar daddies. Which is sad, but has little to do with The Short Story, reports of whose death, for decades now, have been greatly exaggerated. Sam J. Miller is a writer and a community organizer. He lives in the Bronx with his partner of six years. His work has appeared in numerous zines, anthologies, and print and online journals. Drop him a line at samjmiller79@yahoo.com, or visit him at his website.